Heat the oil in a non-stick frying pan, briefly sweat the onion. Stir fry the meat in batches for approx. 2 mins. per batch, season, remove from the pan, set aside. Add a little oil if necessary. Stir fry the peppers in the same pan for approx. 5 mins., season with salt. Return the meat to the pan and heat gently. Fry the pita breads in a non-stick frying pan (without adding any oil) for approx. 1 min. on each side, cut open. 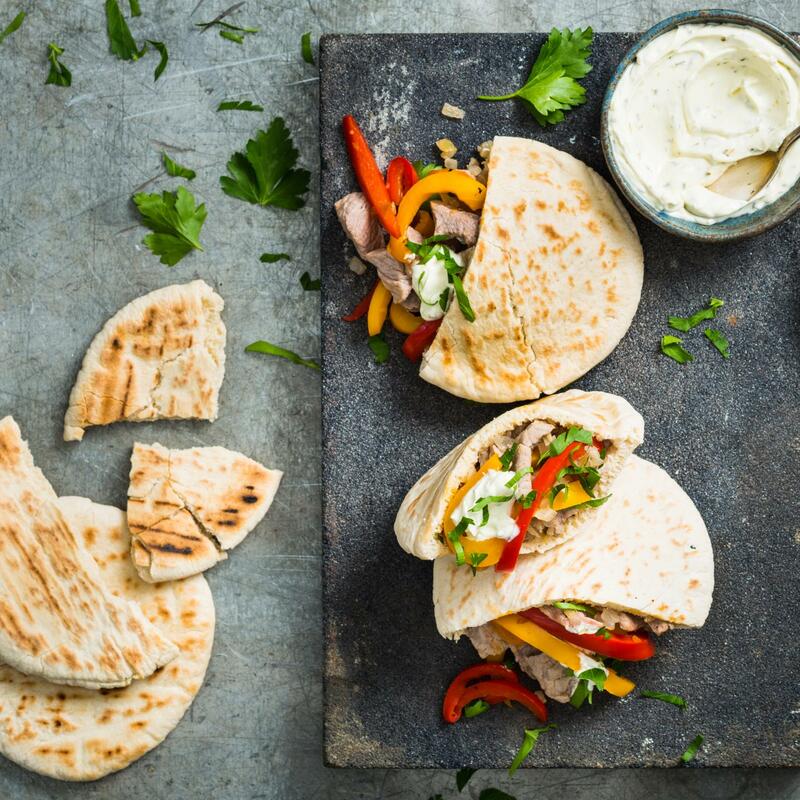 Stuff with the filling, add 2 tbsp of crème fraîche to each pita. Sprinkle with parsley.